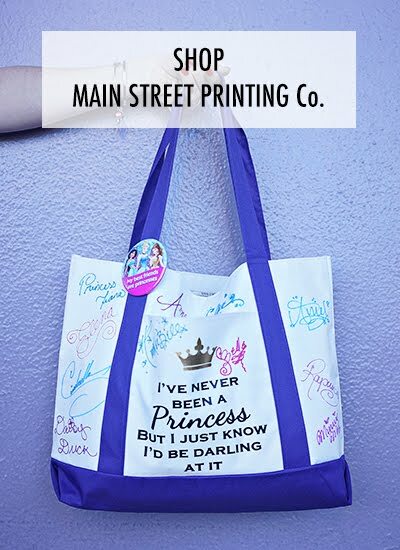 Magic on Main Street: Gift Guide :: Shopping for Mom! 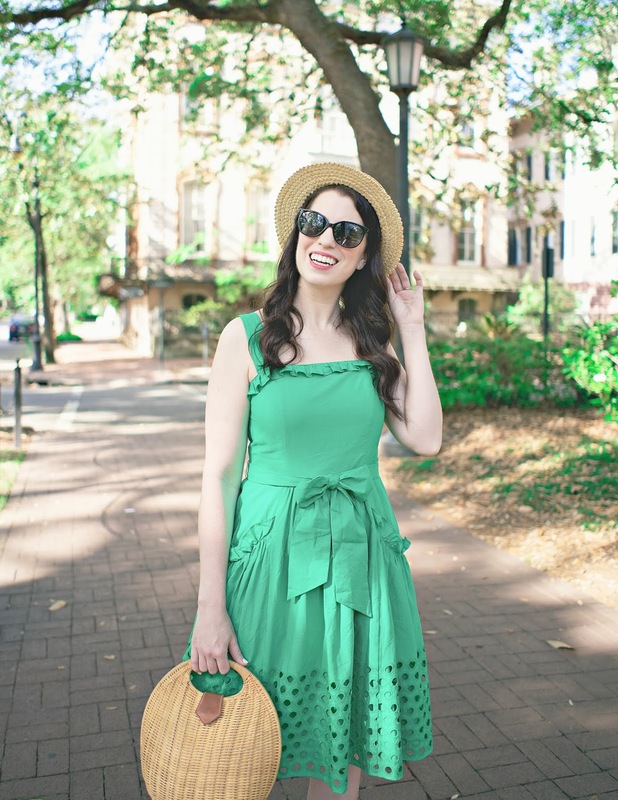 Gift Guide :: Shopping for Mom! Lilly Loves Hope - Several years ago we lost my Aunt to breast cancer after a very long and courageous10 year struggle. I am considering getting a piece from the Lilly Loves Hope collection for my mother. 20% of all sales from American Cancer Society-printed products will support the Society's work in breast cancer research, education, early detection, and patient services.What women wouldn't love to support that? The print is available in the Murfee Scarf ($118), Photodome Bangle ($48) (and also Necktie ($84) for the gentleman in your life who loves women ;)). Philosophy - My mother loves bath and body products and Philosophy. This Snow Angel Duo ($29) is seasonally appropriate and comes with two fragrances. Alex + Ani - Great for anyone, I'm particularly eying the "Mom" Charm Bracelet ($28) for friends who are mothers, are becoming mother's, or even your own mother. Comes in Russian Gold or Russian Silver. Nail Polish Set - My mother is a nail polish junkie, so this Nails Inc. Winter Autumn Collection ($25) would be fantastic for her. I also love the Deborah Lippmann Wicked Set ($29) and since I know my mother read the book, this might be great option, too. Sterling Silver Ball Earrings - If Tiffany is out of your budget, consider these Sterling Silver Bead Ball Earrings ($7.99-21.99) that come in a variety of sizes. The reviews say that they are not super shiny and have a bit of a patina but that are quite nice and definitely sterling silver. Maybe get a pair for yourself, too! Tote Bag - I love tote bags, so much so that my nickname is bag lady, mostly because I usually have about 3 or so hanging off of me. My favorites are from Vera Bradley. I use them for everything - carrying my knitting, going to the beach, for my laptop, just about everything. I love this Vera Bradley Tote in Rosy Posey ($49.95), and I'm sure my mom could find hundred uses for it. Waterproof Kindle Case - My mother is a big reader, specially by the pool. I am thinking of getting her this Waterproof Kindle Case ($9.95) so she doesn't have to worry about her kindle getting splashed. Of course, now she can also float around in the pool with her kindle worry free. And yes, I might get one for myself, too. Wine Tumbler - I, like everyone else, have been coveting these Vino2Go Wine Tumblers (Set of 2 for $17.23), which might be the best invention ever. I'm pretty sure no one, mother's included, could fail to be anything other than ecstatic over such a thoughtful gift like this! Also available in Pink and Red for $15.95. Chocolate - Most women love chocolate. This is no secret. Many women also feel guilty about buying chocolate. Remove the guilt by buying it for them! These German Brandy Filled Chocolate Cordial Cherries ($19.95) are supposedly the most amazing things ever. P.S. Thank you for all your well wishes and positive thoughts regarding the health of Tony's grandfather. Things are looking remarkably better. It appears that while his grandfather was in in the hospital recovering from hip surgery, he was treated with morphine, which he happened to be highly allergic to. As a result, he had both physical and mental reactions that led the doctor's and his grandfather to essentially believe that his time had come. Now that he is no longer on morphine, his physical and mental health are both significantly improved. Don't even get me started on the stupidity and danger of what just happened, seriously. HA love the wine tumblers and liquor filled chocolates!! These are on my list for my mom too. Nice list! The scarf and bracelet remind me of the background on your header! This is such a great gift guide, my mom would love so many of the things you included! So glad to hear his grandfather is doing better! That sounds so scary. 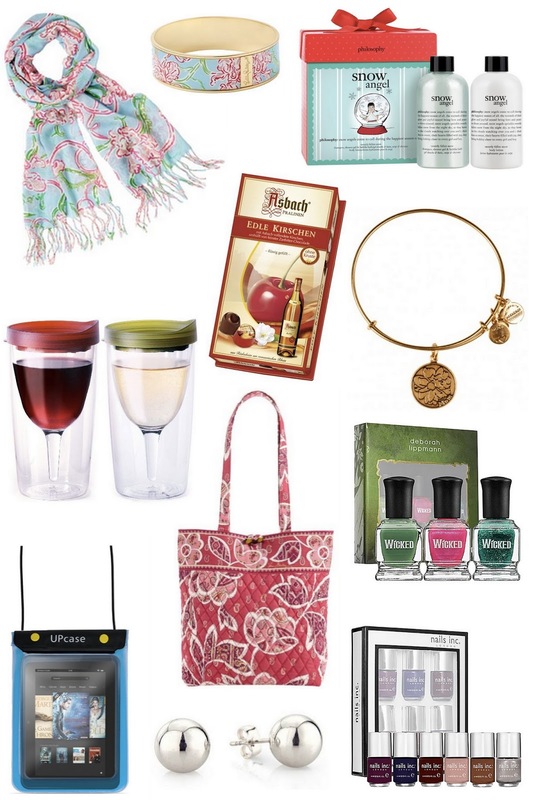 Love all of these gift ideas - especially the Lilly loves Hope scarf and the Vera Bradley tote bag! Obsessed with anything Vera Bradley! Love this!! I have a couple sets of the Vino2Gos! Love them so much! They also make them in extra large now. I love all of your picks! My mom is my favorite person to shop for because she has such a great sense of style. She would definitely rock that Lilly bangle and the green wicked nail polish! Wonderful picks, thank you for sharing! Wine sippy cups… Love it!